Group Colors : turns all your party's and your raid's POIs into circles colored based on class, and shows a number on them based on their raid group. Look 'n' Feel : allows you to change the transparency, position, and scale of the world map. Lots of fixes, but the primary change is LibGuildPositions-1.0 is used instead of Cartographer's own CGP one. Add support for LibGuildPositions-1.0. Sending positions along the old comm will stop in one month. Sending requests along the old comm will stop in two months, essentially ceasing the old comm prefix from use. Herbalism, Mining, and Noteshare modules have been moved out to separate downloads. 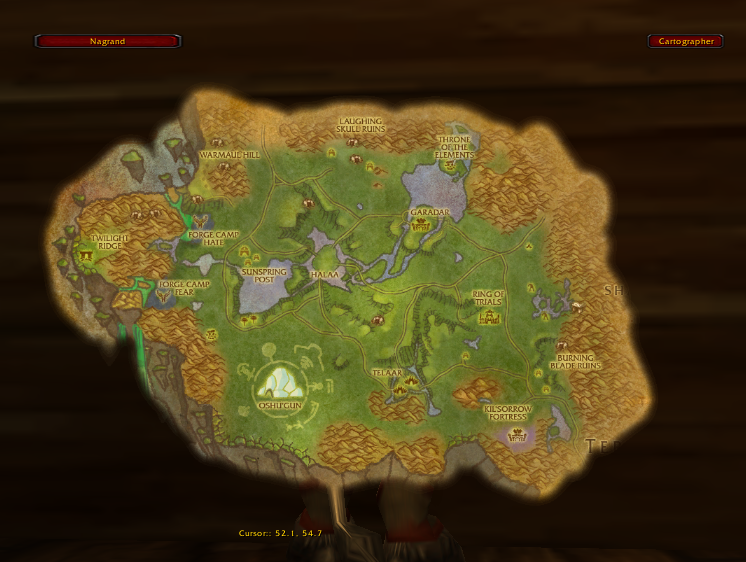 How do I remove the large square icons on the map that show herbs? I used to have a smaller square in the upper left of the map that showed these locations using gold dots. Now it's the actual image of the herb and it is all over my map and I cannot see anything else but these huge square images. How do I get these to go away and get the smaller map image in the upper left to come back? Re: I might be picking it up, technically. Everyone will support that,cartographer is still most popular map addon,if you can improve it it'll be very very good. How is it that Cartographer no longer works ? So far it appears to be running correctly and I have received no errors without updating a single library. Oh and to the guy wanting to use the zoneinfo feature of cartographer go ahead and do it as Cartographer is not the first map mod to have it nor was it the first to have it with this positioning/coloring. 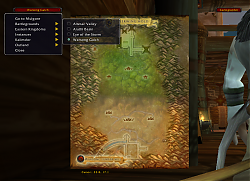 Back in vanilla wow when leveling my first few toons (way before cartographer) the feature was a must of any map viewer. Also if I remember right Alphamap originally had the same feature though it appears it has been removed since the official author stopped playing and is now only updated as a fan update. I have made progress with the idea, as I've already got alot of the stuff done, and now all I need is permission to use both Atlas and Cartographer in my addon, and if I get a yes, then integrate them. After that i'll have to do a few more things, that aren't much but.. yeah... and i've gotten permission to use Atlas, but not Cartographer. I sent an e-mail to ckknight and I have gotten no reply. If I don't get a reply soon, I might just implement the features in my own way, so that it's not copied. I mean... I would still be able to show ZoneInfo and everything, but it would have to be a little different. I will keep everything on the map though. Just be aware that I cannot do it the same way ckknight did it unless I have his permission. For example, instead of ZoneInfo showing up at the top of the screen with the same style as Cartographer, i would have to change it so that it looks different, and change it in any other way required to make it into a non-copied idea. Now... i'm really not sure but... I was wondering whether I could use it anyways as long as I give credit to ckknight, but... wait... you know what... i'm gonna ask that. If I can use cartographer's features if I just give credit to the authors, then maybe I can use it. I'm going to check really quick, and make sure that I don't do something wrong. EDIT: Nope, seems I can't use cartographer without permission... dangit. Last edited by Tilteri : 07-29-10 at 07:46 AM. 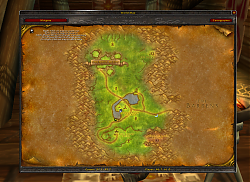 WoWMap will combine Atlas and Cartographer together. The maps will use Atlas textures, and the features will be from Cartographer. Have you made any progress with this idea? I sure miss Cartographer. The game hasn't been the same without it! I might be picking it up, technically. Unless someone picks it up, the add-on's pretty much dead in the water. That said, I've been using the MetaMap Fan Update in conjunction with Broker Recommended Zone. Last edited by FarseerLolotea : 03-07-10 at 09:07 AM. Last edited by XenonLite : 01-22-10 at 07:43 AM. Anybody having issues with this addon? 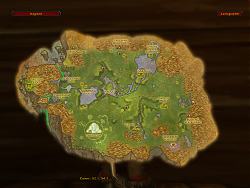 I just recently downloaded the new mmo minion, and the minion updated all my addons, and now cartographer doesn't work properly, the map seems to be cut up into layers spread out all over the screen. I cannot seem to revert back to my original addon. Anybody else experience anything similar? Looks like it isn't being updated on the mother-site (wowace), so maybe it's time to go look for another addon... Any suggestions? ALso looking forward to the update . . . I can't seem to run Pitbull and Cartographer at the same time for the old version of Cartographer. 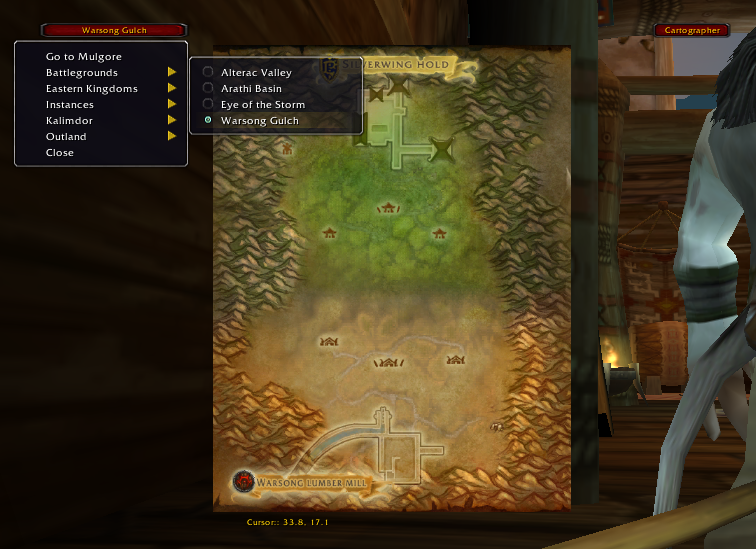 It would be cool if the instance maps could be customized, though from what I can see it is drawn from the minimap data. 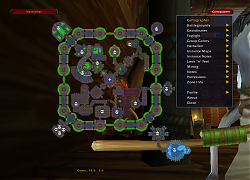 Kanaru drew an awesome map for Stratholme on wowiki. 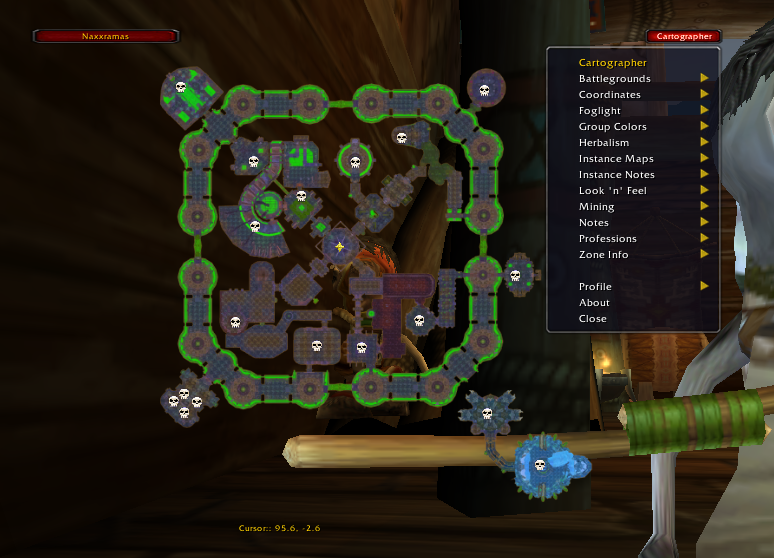 Cartographer is being updated ... it's just on the wowace.com svn sight right now. I figured that from checking Wowace. Looks like the update is still in testing and hasn't been officially released yet. 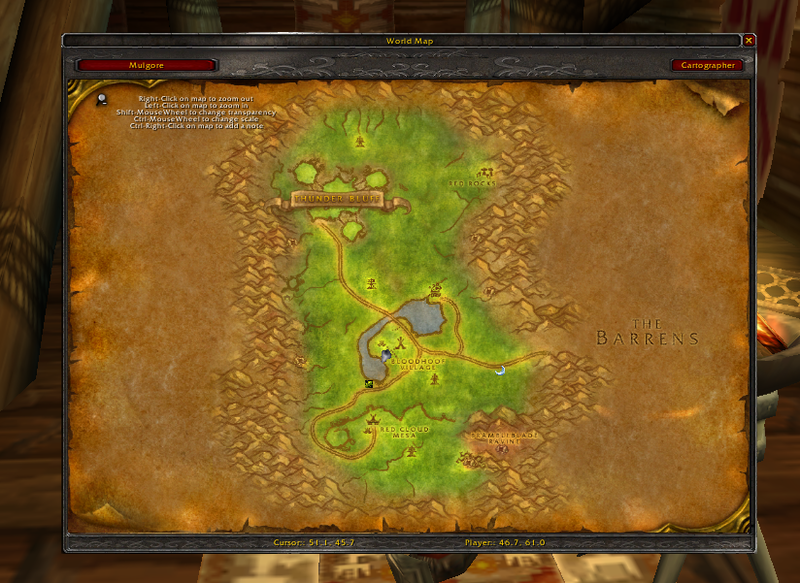 In the meantime, I've been using the old version of Cartographer, with the 3.3 quest tracking stuff disabled. Last edited by AaronOfMpls : 12-14-09 at 01:09 AM.